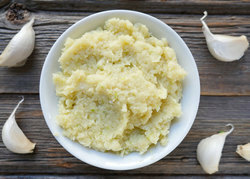 We have gained a remarkable position in the market that is involved in offering Kitchen Garlic Paste. Pasand ginger-garlic paste is made with utmost care in clean & hygienic environment just like home-made ginger-garlic paste made with mortar-pestle. Best quality garlic cloves and ginger, free of dirt is used for this premium product. Use it everyday to make gravies, sabzis and other culinary delights. Used as a Substitute for freshly crushed prepared Garlic & Ginger while cooking. 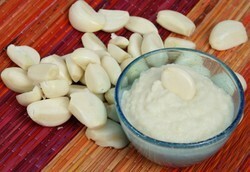 We are expert in offering the best quality of Garlic Paste that adds strong flavor and aroma to various cuisines.